How does that mysterious thing called creativity work? THE WRITING PROCESS is fascinating: a finite number of words can link together to form, potentially, an infinite number of sentences, and then stories. Words. Nothing more. No drawings. Only words on a page creating a seductive reality that tricks us away for awhile from this one. 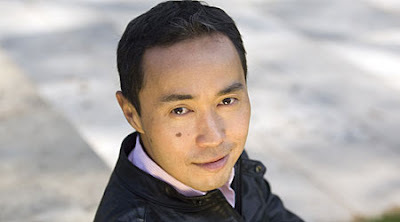 I quiz Malaysia-born, London-based author Tash Aw, 37, about his writing habits and the creation of his second novel, Map of the Invisible World (HarperCollins, April 2009), ahead of his Malaysian book tour beginning later this week. Not really, except that I’d like people in general (and I guess that includes readers) to be curious and sensitive and broad-minded. Describe your writing process. A special room? Do you use a computer, peck away at a typewriter, or handwrite, and then only later type? My writing room is indeed small; it’s square and book-lined, with a round table in the middle of it that doubles up as a dining table. I write my first draft in long hand, and then transfer it to my laptop. All further edits are done on the laptop. I start at 8am and write until 1pm, with a few breaks, then after lunch I do another session from 3pm to 7pm. If I’m on a roll I sometimes do a third session in the evening, after dinner—but that’s really only if I’m coming to the end of a novel, or am under deadline pressure. I can write a lot when I need to, or want to, up to 12 hours a day. But that is exceptional, and I don’t like doing that too often. I prefer to keep things regular, say seven hours a day. I do take lots of little tea breaks, though. I don’t really have a great deal of formal music training. I can read music and I’m a knowledgeable amateur, but more as a listener than a musician. But music is hugely important to my life. I don’t know if it has had a direct influence on my prose style, but there’s certainly something primal about it which appeals to my sensibilities. Writing is, in part, about being able to capture rhythms, and I guess listening to a lot of different kinds of music trains one’s ear. The bad times in writing are numerous and range from being merely bad to truly catastrophic. Any writer will tell you that the daily grind of writing is in itself a challenge, but anyone engaged in a serious project will experience great lows during which one doubts the very validity of one’s existence as a writer—sometimes it feels as if one can’t even write a single sentence. The job of a writer is largely concerned with being able to withstand these dips in morale. Sometimes they can last months, during which the whole of your life seems futile. But writing is cyclical and if you can hang on long enough and keep working through these dips the good times do come back. Eventually. How do one withstand these “dips in morale”? The best way to withstand these dips is to persevere, even though it’s painful. It’s too tempting to take time off if things are not going well—but if a writer takes time off every time he hits a snag, he’d never write. There are of course times when one needs a bit of distance, for the sake of perspective, to think about the course of the novel in a rational way. If I hit a major obstacle in the writing of a novel, I take time off by spending a week reading—often the great classics—and trying not to think about the details of my novel. That way I’m able to take a break from my work while still thinking about literature. Now, coming to your novel, what suggested to you to place the two brothers in neighbouring countries that are alike and at the same time different? While the novel is not an allegory in form, is it allegorical as a story? The basic idea was to trace the respective paths of these two countries through the early years of their Independence, to examine how people and countries deal with their pasts, with freedom and with ambition. Malaysia and Indonesia had very different experiences post-Merdeka, which made me think of themes such as individual and collective liberty, memory, and identity in two seemingly similar, but ultimately differing cultures. But it’s important not to look for too much allegorical meaning in my work—I hope that the story will take precedence for most readers. How important is it for a writer to “moralise”, however you interpret that word? How important is it for the work to be moral? I think it’s important for a writer to believe in something, but above all, not to be judgmental. I don’t know what this means in terms of morality. All I know is that I don’t think it’s a writer’s place to preach, but rather to analyse and examine, and to question and engage with serious issues—including, I suppose, moral ones—in a searching way. Is serious fiction/literature scripture for a secular world? That sounds like an exam question! But it’s an interesting issue nonetheless: whether or not literature performs a sacred role in an increasingly secular world. Writers tend to overstate the importance of literature. The harsh reality is that most people don’t really care about literature—and often with good reason, because they have more pressing concerns. In most parts of the world, where people still struggle to make sure they have enough to eat, literature remains a distant luxury. Not very relevant in everyday life. On the other hand, for other—let’s face it, more well-off—people, literature is one of the chief nourishers of the human soul, something that connects fundamentally with the human condition. Have I passed my exam? What did you have to do to know Indonesia and Malaysia of that period (beyond the assistance of Judith Sihombing whom you acknowledged)? I had to read a lot about the politics of Indonesia in the 1960s, which was messy and complicated. It was largely library and archival work. But I also know Jakarta very well. My father has worked there for over 20 years and I’ve always gone there a lot. So the atmosphere of the streets, the slums—all that seemed easy to recreate. I’ve travelled a little bit in Java and further beyond, though not as much as I’d like. Somehow I tend to get stuck in Jakarta. Indonesia is a fascinating country, and one could spend a whole lifetime trying to get to the bottom of its complexities. I’ll lose my national identity and suffer an identity crisis if I don’t ask about money. I’ve not read anywhere about the advance. So how much money for this novel? How come no publicity about it? I suppose because journalists haven’t yet gotten round to inventing a figure, as they did with the first novel. But I’m not sure why you think I’d know why people do or don’t talk about money, as if I was in any way responsible for the reporting of it. I never mentioned it first time round, as it’s something completely irrelevant to writing. The Malaysian press has a strange fascination with money, and some things were completely fabricated. If you’re really interested, go ask my agent or my publisher and see if they can be any more helpful—but don’t hold your breath. Interesting interview - except for the weird blip about $$$. What does he mean, "The Malaysian press has a strange fascination with money"? Every newspaper in the world likes to put a figure on everything: people's ages, years a company has been in business, hotel room prices, annual school fees... No point in picking on Malaysians when the whole world is fascinated with costs and pricing.